The nervous system is one of the most complex and important parts of our body. 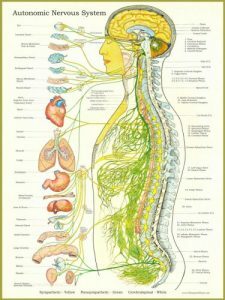 It is the master control system of the body; consisting of the brain, spinal cord, and peripheral nerves, which connect to all the organs. Since it is responsible for controlling the larger part of our vital functions (breathing, heartbeats, hunger, thirst, posture, etc.) as well as for our emotions, it is important to strengthen it naturally to ensure a good quality of life. Cacao: L-tryptophan is a neurotransmitter responsible for calming the mind, and it just so happens to be found in cacao and dark chocolate. Bananas: Ever wonder why athletes eat bananas before a big game? Potassium is a crucial electrolyte that helps keep our bodies (and brain) hydrated. Nuts: Almonds and cashews are rich in magnesium and Brazil nuts are said to have one of nature’s richest source of selenium – an unmatched feat when it comes to relaxing the nervous system. Garlic: Not only does garlic contain plenty of antioxidants, it can help prevent aging of the mind and keep your brain sharper longer. Spinach: High in folate as well as Vitamin B and B6, dark leafy greens like spinach help break down homocysteine – a chemical that can lead to dementia. Pomegranates: These antioxidants can help fight free radicals, keeping our minds active and healthy. Oatmeal: This a delicious nervous system stabilizer. It calms irritable states and mild anxiety, relieves insomnia, and increases mental performance. It is strangely a food that both relaxes and gives energy. Bee Pollen: Pollen is a superfood that equalizes the blood pH and nervous system function thanks to its B vitamins. Sunlight is an excellent regulator of the nervous system and it also provides us with vitamin D. To benefit from it, we can sunbathe for 10 to 15 minutes per day. Walking barefoot on moist Earth, dewy grass, beach sand, in a river, in the sea, etc., for at least half an hour a day is an economic and healthy way to balance your nervous system. In addition, it helps us to eliminate electromagnetic radiation that we absorb in our body from continuous contact with electronic devices. + Cool, wet rubs with a very thin towel – do this then dress warmly to enter into the heat. + Always ending a bath/shower with a few seconds of a cold shower is very beneficial. + Magnesium sulfate baths are very relaxing and revitalizing. Chiropractic adjustments can positively impact your nervous system function. They correct mechanical stress on the spine (subluxations) that creates irritation and interference to the flow of information across the complex and sensitive nerve system. 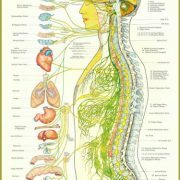 When each vertebrae is in a healthy position and allowed to move properly, there is no stress on the nervous system, which allows for proper regulation, healing, and the flow of vital information from your brain to your body. While medicine is treating the symptoms of a sick person, the patients of chiropractors are focused on getting well and staying healthy. Migraines is a highly tedious complaint by many people. Migraines occur in unpredictable episodes that bring on a throbbing headache that is often consisted of fuzzy eyesight, susceptibility to bring light or loud sounds, and sometimes vomiting. Some migraines are developed by the result of changes in blood pressure, neurotransmitters in the head, or muscle spasms in the neck. Blood pressure and neurotransmitters, especially serotonin, affect each other. Migraines can also be associated with the monthly cycles. Many women suffer from hormonal migraines, which occurs when hormone levels are fluctuating and estrogen drops. As the estrogen level drops, the level of serotonin in the head drops, as well as the blood pressure, which increases the risk of migraines developing. If the level of estrogen is very high, the drops in estrogen may also be very high and this will increase the risk of hormonal migraine. The causes for high estrogen levels include high body fat percentage, high load of chemical substances (plastics and pesticides), and poor liver performance (leaky gut, high alcohol consumption and high load of chemical substances). The thyroid gland affects the monthly cycle, serotonin level, muscles, and blood circulation inside the head, so therefore, a poor functioning thyroid gland may also cause migraines. Healthy lifestyle changes are important to help treat migraines naturally. Some foods affect neurotransmitters and blood pressure. Foods that may trigger migraines: gluten, casein, chocolate (theobromine and tryptophan), alcohol, nicotine/cigarette smoking, caffeine in coffee and other drinks, and food additives: glutamates, aspartame, and nitrite. Choose organic, whole foods to fuel your body, and limit your intake of alcohol. Stress has a major impact on neurotransmitters, blood pressure, and muscle tension. Chiropractic adjustments improve spinal function and alleviates the stress on your nerves/nervous system, resulting in lower stress levels. Traumas to the head, jaw, and neck such as falls and car accidents, often trigger migraines. A good chiropractor can help by performing adjustments to correct spinal curves and nerve interferences. Lack of sleep, or poor quality of sleep increases the risk of migraines. Be sure to get 7-9 hours of good quality sleep. Develop a nightly routine to help get your mind in the sleep mode (hot tea, shower, read a book), and sleep in a dark, quiet room. Dehydration and lack of moisture intake causes migraines. Be sure to drink plenty of water throughout the day. 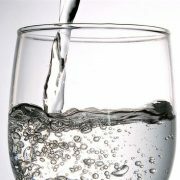 At least eight 8-ounce glasses of water per day is recommended to avoid dehydration. “I’ve heard that if you go to a chiropractor, you will have to go for the rest of your life” is a very common statement that people have and assume when experiencing chiropractic for the first time. If a dentist told a patient, “you need this the rest of your life, ” most people would understand because people value dental hygiene, and poor dental hygiene leads to more serious health problems. When you get into a routine of working out, do you feel better? Yes. Most people who exercise regularly notice an increase in muscle tone, weight loss, more energy, less stress, and mood/behavior improvement. When you eat healthy, does your body feel better? Yes. The food you consume has a direct major impact on various aspects of your physical, chemical, and emotional well-being. Individuals who choose to eat organic, whole foods enjoy a better quality of life. When you are adjusted, do you feel better? Yes. The chiropractic adjustment allows your nervous system, the master control system of the body, to function optimally. People who are adjusted regularly experience less pain, need fewer medications, improved immune system, and increase in overall mood, sleep, energy, and quality of life. When chiropractors tell patients that some form of maintenance care is recommended after helping them get out of pain, they are doing so because of their certainty on how important the spine is to all bodily functions. Maintenance is key to healthy living. Those who face physical, chemical, or emotional stress (the majority of us) often find regular chiropractic adjustments helpful in correcting muscle tightness, discomfort, and the resulting postural changes. Long-standing spinal problems can produce weakened areas that are susceptible to repeated problems, regular care may often help strengthen supporting muscles and ligaments, avoiding a flare-up. Regular chiropractic checkups can often detect smaller problems before they become more serious. Being our best starts with an interference-free nervous system and proper spinal curves. Remember, how long you choose to benefit from chiropractic care is always up to you. Blossom is here to serve. How may we help you? Let us know what types of activities you engage in as part of your healthy lifestyle by leaving a comment below! https://blossomfamilychiropractic.com/wp-content/uploads/2016/11/wellness.jpg 140 353 Tara Bassi https://blossomfamilychiropractic.com/wp-content/uploads/2019/01/blossom-logo-grey-l-1030x216.png Tara Bassi2016-11-10 09:13:552016-11-09 18:33:39Lifetime Chiropractic Care? Balancing work and life is A LOT, throw school into the mix and it can be very overwhelming, and burn your energy fast. Remember to take care of yourself, even through all your schedule craziness. Care for your body and mind. Self-care is crucial to living a healthy and happy life, and we all want to be healthy and happy, right? Let’s start November on a healthy positive note! 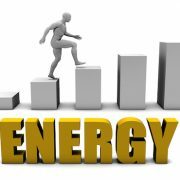 Here we have six ways to boost your energy right now. Start working with one, then incorporate more and notice how each one makes you feel, both mentally and physically. Be mindful and listen to your body – your body knows exactly what it needs to thrive and be healthy. These will not only boost your energy but also boost your mood and productivity. 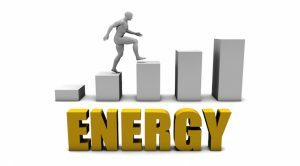 Great energy is a good marker of health! Meditate and Breathe: Turn off your phone and computer, and disconnect with your surroundings for 10 minutes. Sit comfortably with your spine straight, eyes closed, and practice deep breathing. Focus on your breaths, inhaling and exhaling slowly. Drink a Green Machine: Skip the energy drink and go for a nutrient-packed smoothie. Nourish your body with the good stuff that Mother Nature provides for us. You can make your smoothie in the morning before work to have in the afternoon or have a blender at work (don’t worry your co-workers won’t be annoyed by the noisy blender, they will want in on your energy booster tricks). Green smoothie: non-dairy milk, handful spinach/other dark leafy greens, frozen banana, handful frozen or fresh fruits (blueberries, mango, dark cherries etc. ), healthy fat/super-food (coconut oil, avocado, chia, hemp, flaxseeds)! Go for a Walk: Take 10-20 minutes to get outside in the sunshine and fresh air. Research shows that sunshine energizes you, boosts your mood, and provides you with your healthy daily dose of vitamin D. Your skin will be glowing after a couple days of this (and that’s always a plus)! Wear heels to work? Then, have a pair of sneakers at work to slip on for your walk. 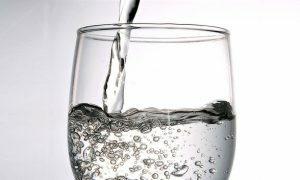 Hydrate: Dehydration is the number one cause of fatigue. Fluid supports the flow of blood in your body. If there is not enough fluid in your blood, your body will over-work itself, causing fatigue, dizziness, and mental fogginess. Hydrate yourself with water, lemon infused water, and herbal teas throughout the day to supply your cells with nutrients and oxygen, and to keep your energy up! Have Good Posture: Sitting at a desk all day on a computer can compromise your posture a great deal. When you sit or stand with you neck and head forward, your arteries become agitated, which restricts the blood flow to your brain (similar to dehydration). Research suggests shifting your posture to an erected spine can give you more energy and reduce stress. Your mom was right – sit up straight, no slouching! Get Adjusted: Chiropractic care is a drug-free approach to wellness. Regular adjustments are vital for keeping your body balanced, flexible, and functioning at its best. Not only does chiropractic care improve your posture and physical performance, but also improves the nerve communication within your body and boosts your immune system! Everything is more enjoyable when you are filled with energy! Picture a big glass goblet filled to the halfway mark with water. How do you see it – half-full or half-empty? Consistently finding the glass half-empty, and the world as a difficult place, is a hallmark of negativity. Now, imagine what it would feel like to approach life from a place of positivity, fun, connection, health, and possibility. Sounds good, right? To help wipe out negativity, try one or more of the following action steps this week. Give compliments freely. Notice the good in others. Praise your loved ones and others you interact with. Find the beauty everywhere. Notice its gorgeousness. Share your good news. Studies show that sharing happy events brings even more happiness within yourself and to others around you. Focus on what you want. Do not focus on what you don’t want or have. Maintaining a positive outlook takes practice, and the more you do it, the easier it gets. The payoff – a happier and healthier life – is absolutely worth the effort! Omega-3 is a type of fatty acid. Fatty acids are small molecular component found in all fats, but their type and structure differs between foods. They are part of the process of building new cells, which is the key to developing the central nervous and cardiovascular systems, supporting the health of your brain, and helping the body absorb nutrients. Omega-6 is another essential fat for human health. However, the typical American consumes far too much omega-6 fat, and consumes far too little omega-3 fat. Omega-6 is primarily sourced from corn, soy, safflower oil, and sunflower oil. Consuming exceeding amounts of omega-6s encourages the production of inflammation in your body. Many scientists believe that the imbalance of omega-3 and omega 6 is one reason that there is high incidence of heart disease, hypertension, diabetes, obesity, premature aging, and cancers today. Omega-3 comes from both plant and animal sources. The primary plant sources are flaxseed, walnuts, seaweed, chia, and hemp. The primary animal sources are krill oil and fish oil. The body cannot make Omega-3’s alone; we can only get it from the food that we eat. Therefore, it is essential to make sure we have a daily dose of omega-3 through whole foods. Brain cells: Omega-3s support healthy brain cell structure. There are over 100 billion cells in our brain, which are responsible for powering our bodies. The human brain is about 60% fat, and each cell has an outer membrane, which is made up of fats (lipids). Creative thinking, planning and following your goals and dreams rely on our brain to function properly. Fetal brain development: Research shows that children of those women who consumed Omega-3s while pregnant scored very well in developmental and behavioral testing. Omega-3s are critical building blocks of fetal brain and retina development. Anti-aging: Omega-3s have incredible anti-aging effects on the brain. Research suggests that since the brain metabolizes DHA into anti-inflammatory compounds, it may be effectively slowing cell death (which naturally occurs with age). Insufficient omega-3 intake impairs learning memory as you age. Mental health and happiness: Omega-3s not only help in the formation of healthy brain cell membranes, but also the flexibility and fluidity of the membranes. They help regulate the flow of proteins and neurotransmitters, which act chemical messengers and are directly related to mood. Omega-3s also helps increase the levels of dopamine, which is an important neurotransmitter associated with our “reward response,” and serotonin, a neurotransmitter associated with our ability to access feelings of well being. Hormone balancing: As omega-3s act build healthy cell membranes, enabling effective communication between cells; it makes it possible for hormones to adhere to cells more easily. Omega-3s also aid the body in keeping the cellular receptor sites repaired (where hormones are) and in optimal condition, which is key for premenopausal/menopausal women. The anti-inflammatory properties of omega-3s also eases the symptoms of PMS and dysmenorrhea. 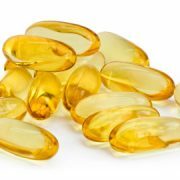 From the time of your pregnancy through your child’s later life, omega-3 fats have a radically important role in their brain health and other functions. It is crucial to maintain an adequate intake of omega-3s through whole foods or supplementation during pregnancy and breastfeeding. Babies receive DHA through mother’s breast milk, so continuing to breastfeed through the first year will give your child a great head start for health and success. – Artemis Simopoulos, President of the Center for Genetics, Nutrition, and Health. FACT: 90% of the world’s population breathes dirty air! The World Health Organization (WHO) released an air quality model which showed that more than 9 in 10 people live in areas that have unsafe levels of air pollution. Some air pollutants are 100 times more concentrated in your home than they are outside. According to the Environmental Protection Agency (EPA), the levels of indoor air pollution in your home may be 2 to 5 times higher than they are outside. Indoor air pollution comes from more hidden sources than outdoor sources like car and traffic pollution. The use of home insulation also means that once these gases are released, they are more likely to be trapped within your walls. This can cause unpleasant side effects experienced immediately or several years later, such as memory and cognitive issues, fatigue, respiratory problems, skin complaints, irritated eyes, headaches, asthma, and allergies. Both the National Cancer Institute (NCI) and the Centers of Disease Control and Prevention (CCDC) have established that 80% of all cancers may be attributed to factors from your environment. Therefore, exposure to these carcinogenic chemicals and toxins are among the causative factors of cancer. There are a number of different contributors to the rise in poor air quality indoors. Volatile organic compounds (VOCs) is listed as one contributor, which is a dangerous type of pollution from products such as aerosol sprays, cleaning products, and wood preservatives. Familiar VOCs names are benzene, formaldehyde and toluene. The variety of other contributors to indoor pollution include asbestos, carbon monoxide, cockroaches, lead, secondhand smoke, bacteria and viruses, carpets, dust mites and dust, pet dander, building and paint products, cleaning chemicals, formaldehyde, radon, and fire retardants. Sociologists revealed that the average person in the U.S. spends 92% of their day indoors. People who are employed spend 2% of their time outside and 6% in transit between home and work. This means that the quality of the indoor air your breathe is very important to your health. The EPA states that poor indoor air quality is one of top public health risks people face each day. You are dependent on good quality air to support your respiratory system and overall health. There are many ways that we can take measures into our own hands to make a difference in our personal environments. So, one great way to purify the air in your home and office is having beautiful green plants! 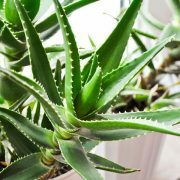 Here are a few of my favorite air-purifying houseplants. This plant may be a little higher maintenance by needing lots of sunlight and well-drained soil. Good For: Removing airborne chemicals that are released from inks and dry cleaning including benzene and trichloroethylene. This plant does not need much light or water to survive, so they are an easy choice for your home. Good For: Absorbs carbon dioxide and releases oxygen during the night (while most plants do so during the day). This plant is super resilient and requires very little maintenance. This long leafed ornamental plant has a high performance rate of removing 80% of p-Xylenes o-Xylene and ethylbenzene from the air. Good For: Removing the chemicals that are released from artificial rubbers, pesticides, paint, paint thinners, and ink, including benzene, formaldehyde, and carbon monoxide. This broad-leafed plant is excellent at filtering out six types of Volatile Organic Compounds (VOCs) and can filter up to 80% of these chemicals from the air in just 12 hours. Good For: clearing away the toxic chemicals that are released from paraffin candles and car exhaust fumes. This vibrant plant can grow to be ceiling height, making it a great plant for filling up space. It grows best in sunlight. Good For: Sucking up the toxic acetone released from nail polishes, nail polish removers, and other household items, and removing formaldehyde. This stylish plant is very low maintenance and needs indirect sunlight. It’s believed to help put moisture back into the atmosphere, which is a great for air-conditioned homes. Good For: Clearing away benzene and trichloroethylene. This succulent has been used for thousands of years as a laxative, natural antidote to skin burns, and other healing properties. It grows best with lots of sun. Good For: Clearing benzene, formaldehyde, and other chemicals found in cleaning products. This beautiful plant is relatively easy to grow indoors and requires very little TLC. It does well in shade and cooler temperatures. Good For: Removing formaldehyde, trichloroethylene, benzenes, and ammonia from the air. FYI: The lily flower is toxic to cats and dogs. This plant is a great hanging plant for your kitchen, living room or office, as the leaves will grow down in cascading vines. It grows easily in cool temperatures and low levels of sunlight. Good For: Clearing away formaldehyde from the air. It’s also important to consider using good quality potting mix and materials for your plants. Using clay or non-toxic pots, organic soil, and not using any artificial fertilizers and sprays. With a few small investments for these beautiful plants, you can truly clean the air and have great décor in your home! What type of indoor plants do you like? Leave comments below! Please see foodmatters.com for other great tips.